The first empowerment youth conference event of its kind developed and targeted to reach and teach girls ages 10-13 will take place on March 28, and plenty of celebrities will turn out to take part. 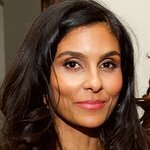 Co-founded by entrepreneur and philanthropist Manuela Testolini (formerly married to Prince), Girl Prep aims to help raise self-esteem, leadership skills, and confidence amongst young inner city girls, and is a response to increased community concern for early intervention in the lives of disadvantaged teen girls. Hosted by Maiara Walsh and Brando Eaton, guests will include Jansen Panettiere, Scott Bakula, Austin Butler, Jason Dolley, Madison Pettis (Corey in the House), Vitamin C, and many more. The evening will benefit In A Perfect World, a foundation founded by Manuela Testolini to help children around the US become compassionate, socially-conscious, and responsible leaders. In A Perfect World partners with schools and community-based organizations that implement innovative strategies and programs to develop this type of leadership in children.